caesarissa | What song the Sirens sang . . . The Peloponnesian War was a war fought between the Greek states of Athens and Sparta that lasted from 431 until 404 BCE (historyofwar). The war went so long because neither power was able to gain power over the other due to Athens’ strength on the sea and Sparta’s power on land. The war is traditionally split into many parts; the Archidamian War, the Peace of Nicias, The Sicilian Expedition, and the Decelean War. The war was a huge power struggle that changed the Hellenistic world. 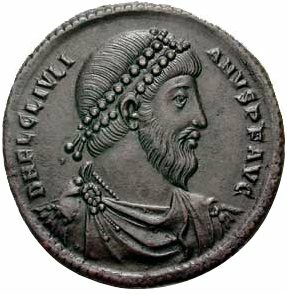 The Archidamian War began in 431 and lasted until 421 BCE (Mathisen). “At the start of the war, much of the Greek world was tied to either Sparta or Athens through alliances, leagues or membership of the Athenian empire.” (historyofwar)Sparta would march on Attic, and the Athenians would retreat into the city of Athens, refusing to fight. The Spartans did not have siege technology and the Spartans had no way to capture a walled city besides starvation, betrayal, or surrender. They tried to invade five separate times, but could not gain any ground. The war really started when the Thebes attacked Plataea, the only city that hadn’t joined the Theban dominated Boeotian League, but Plataea did not fall at that time (Historyofwar). A plague struck Attica, stopping the Spartan attacks on the city for a time. The Spartans were able to take Plataea in 427, gain allies in the Macedonians, capture Amphipolis in 424, and kill Athenian general Cleon. In 425, the Athenians responded by capturing 120 Spartans on Sphacteria, the first time that Spartans had ever been forced to surrender. By 421, both sides were willing to negotiate for peace. The Peace of Nicias began. The Peace of Nicias was named after the Athenian general who negotiated for Athens. The Spartan prisoners were returned, Athens lost the city of Plataea but gained a port from Megara, and Athens kept Nicea. Everything else was returned to the way it was before the war, settling nothing and upsetting many Spartan allies. The treaty was able to last for about six years, but there were constant skirmishes in and around the Peloponnese (Wikipedia). 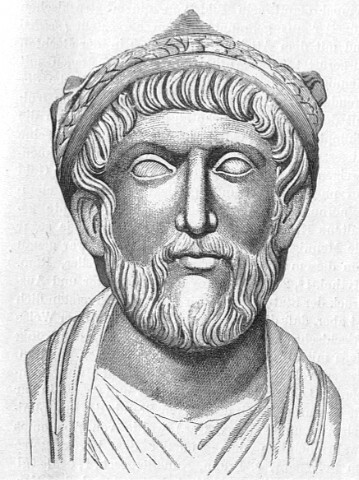 Argos, a powerful state, tried to create a coalition of states with the support of the Athenians. The Spartans tried to break it, but failed and the Spartan king’s leadership skills were questioned (Wikipedia). The largest battle at the time, and during the entire war, was the Battle of Mantinea, where the coalition was defeated by the Spartans. The alliance broke and most states reincorporated themselves into the Peloponnesian League. The next major event of the war was the Sicilian Expedition. “In the next few years the Athenians took the offensive. They attacked the Sicilian city Syracuse and campaigned in western Greece and the Peloponnese itself (Britannica).” This second period of fighting lasted eleven years, starting in 415. After the Athenians destroyed the city of Melos for not joining the Delian League, Alcibiades, the Athenian leader, tried to gain more power and income by attacking the city of Syracuse. An impossibly large force was suggested to try to dissuade this from occurring, but the proposal passed. One hundred warships, one hundred thirty supply ships, five thousand hoplites, and one thousand three hundred troops were sent to Sicily (Mathisen). Sicily was initially caught off guard, but gained the upper hand, even when the Athenians sent reinforcements. “Aided by a force of Spartans, Syracuse was able to break an Athenian blockade. Even after gaining reinforcements in 413, the Athenian army was defeated again. Soon afterward the navy was also beaten, and the Athenians were utterly destroyed as they tried to retreat (Britannica).” This caused members of the Delian League to begin revolting and Athens lost much of its prestige in the Greek world. During this time though, Sparta had decided to take to war on land again in a war called the Decelean war. They fortified Decelea and established a permanent military base. “The Spartans, advised by Alcibiades, decided to occupy a fortress in Athenian territory… on the slopes of Mount Parnes (historyofwar).”They also allied with Persia to get the money to pay for a navy, having to promise to let the Persians reoccupy Ionia if they won (Mathisen). “Over the winter of 412-411 the treaty between Sparta and Persian was renegotiated. This time Sparta agreed not to attack any Persian possession or former possession, not to take tribute from any of them, the Persians agreed not to attack the Spartans, both agreed to help the other, although the exact nature of the help was left unclear, both sides agreed to make war jointly against the Athenians, and only make peace together (historyofwar).” Athens was desperately trying to recuperate from their defeat and was forced to use its reserve fund of 1,000 talents and demand tribute from allies which increased tensions (wiki). 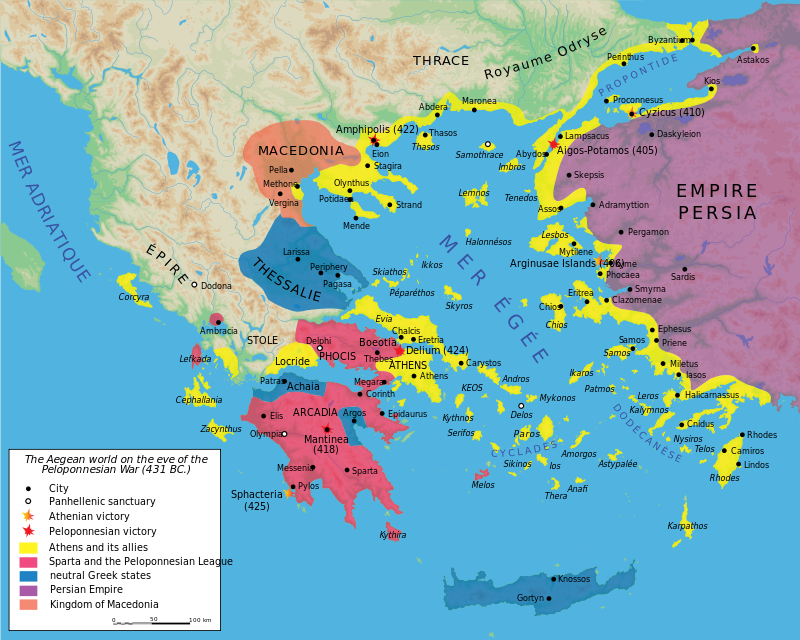 Political upheaval continued to wrack Athens making it weaker (historyofwar). Athens continued to win naval victories, but in 404, the Athenian fleet was destroyed. 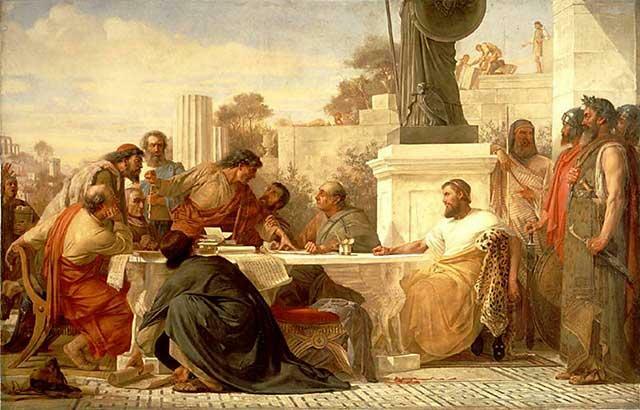 The Athenians were forced to agree to the terms of Sparta and obey Spartan foreign policy. They were also forced to accept an oligarchic government. Athens was completely ruined and both Sparta and Athens were weakened by the long years of warfare. The Peloponnesian War changed the power structure and political giants of the Hellenistic world. Athens went from being one of the strongest city states in Greece to being effectively ruined, while Sparta grew into a world power. The power struggle between Athens and Sparta showed the power of Greece and changed the Hellenistic world. “Peloponnesian War.” Wikipedia. Wikimedia Foundation, n.d. Web. 26 Mar. 2015.
n.d. Web. 24 Mar. 2015. “Second or Great Peloponnesian War, 431-404 BC.” Second or Great Peloponnesian War, 431-404 BC. N.p., n.d. Web. 30 Mar. 2015. Written language is one of the major factors that made different cultures into the first major civilizations. Examples of these first written languages include the ancient Egyptian hieroglyphs and the language of the ancient Mycenaeans, commonly known as Linear B. These writing systems allowed for information to be recorded and passed between people in the culture, communication, and for decoration of religious buildings and monuments. Though some of these scripts survived to become the ancestors of our modern written languages while others did not, they all give us into the historical lives of those who lived in these two cultures. In Ancient Egypt, the most common written language was hieroglyphic script. It is dated to about 3500 years before Christ, at the beginning of pharaonic civilization, and is made up of around 500 symbols. “Hieroglyphs were called, by the Egyptians, ‘the words of God’ and were mainly used by the priests.” (Egyptian Hieroglyphic Alphabet) Most texts were written on papyrus, “a type of paper… which was made from the river plant of the same name. Papyrus was a very strong and durable paper-like material that was used in Egypt for over 3000 years.” (Penn Museum) Hieroglyphs also appeared on tombs, temple walls, and monuments as works of art. Hieroglyphs were used as either ideograms, made to represent ideas through pictures, or as phonograms that were given phonetic value. The Egyptians also had two cursive forms of hieroglyphic writing called hieratic and demotic hieroglyphs. They had very similar purposes but were used at different times during the Egyptian period. These written forms of language could be read from either direction, dependent on the direction of human and animal figures. The one exception is hieratic, which was always read right to left. In the First century AD, the Coptic language, a modified Greek alphabet with some demotic symbols, began to be used. By the Fourth century, Coptic had become the dominant writing form and formal hieroglyphs were used in only a ceremonial role. 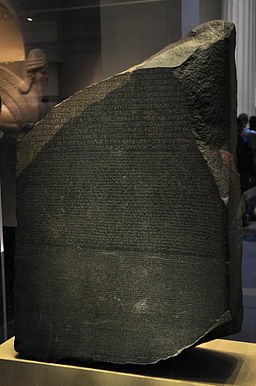 In 1789, the Rosetta Stone was found, a stone carved with the same text written in Egyptian and Greek, using hieroglyphic, demotic, and Greek writing forms. This allowed some Egyptian texts to be deciphered and give a better view into Ancient Egyptian history. of Greek and Egyptian writing. The Mycenaeans used a very different language called Linear B, “the oldest preserved form of written Greek that we know of.” (Violatti) Linear B was first attested on Crete and have been found in mainland Greece, suggesting that the writing form was used between 1500 and 1100 BCE, depending on sources. Inscriptions found on clay tablets in major palace sites in Crete, Pylos, and Mycenae itself. 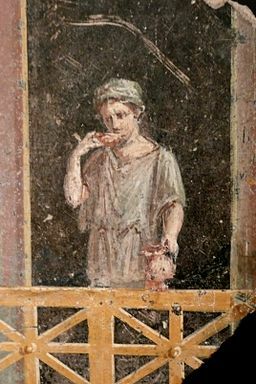 Most of the texts found are inventories, palace administrations, and some military activity. They also dealt with religious offerings, such as food and wine, and the gods and goddess they were for. There are no surviving narratives, myths, or poetry. The oldest of these tablets are the Room of the Chariot Tablets from Knossos, dated to 1450-1350 BCE (Wikipedia). Linear B writing consists of about 200 syllabic signs and logograms, characters that represent a word of phrase. It was initially derived from Linear A, a Minoan language that has not been deciphered yet, being mixed with Greek. Linear B is written in such a way that deciphering the pronunciation of words is difficult, especially where the meaning of a word is unclear from context of has no dialectic descendants. “Linear B cannot represent consonant clusters… the limitations of the script to represent Greek are fairly clear.” (Violatti) “This system was apparently designed for a non-Greek language as it did not fit the sounds of Greek very well. In fact, it is likely that Linear A was used to write the pre-Greek language of Crete, and the incoming Greeks adopted this writing system for their own use, but without changing how the system fundamentally works.” (Linear B) When the Mycenaean civilization collapsed, Linear B gradually disappeared and literacy was lost until the Greek alphabet emerged in the 8th century BCE. Both of these written languages emerged, developed, and collapsed in similar ways. They were used for common functions and help historians today figure out the culture and history of these ancient civilizations today. Though these written languages are not used they still have great influence on how history is interpreted and how we see the people of ancient Egypt and the Mycenaeans. “Egyptian Hieroglyphic Writing.” Discovering Ancient Egypt. N.p., n.d. Web. 04 Mar. 2015. “Egyptian Hieroglyphic Alphabet.” Discovering Ancient Egypt. N.p., n.d. Web. 08 Mar. 2015. “WRITING – Scribes, Hieroglyphs, and Papyri – A New Look at Ancient Egypt @ UPMAA.”WRITING – Scribes, Hieroglyphs, and Papyri – A New Look at Ancient Egypt @ UPMAA. N.p., n.d. Web. 07 Mar. 2015. <http://penn.museum/sites/egypt/writing.shtml&gt;. “Ancient Scripts: Linear B.” Ancient Scripts: Linear B. N.p., n.d. Web. 08 Mar. 2015. “Mycenaean Greek.” Wikipedia. Wikimedia Foundation, n.d. Web. 08 Mar. 2015. “Writing in Ancient Egypt.” Wikipedia. Wikimedia Foundation, n.d. Web. 08 Mar. 2015.